As in any sales activity, the best way to sell your product or service is to focus on the customer and what they’re searching for. Usually you’d go through a process to determine this, but with Twitter we can skip straight to the solution! There are a plethora of tweets being posted every minute. Many of them might be about what that person had for breakfast, but in amongst these sorts of posts are a gold mine of messages where people are reaching out looking for help. They might be directly asking for ideas or suggestions or how to solve a problem – or they might just be complaining. In those situations, that person is already primed for a solution to be presented to them. When you reply to their request, you’re responding to a discussion they already started themselves. This is an example of Twitter being used well as a sales tool. The question is – how do you find the people that are looking for the products and services that you can offer them. One option is to use the twitter search function. You can search, in real-time, about what people are tweeting about at that moment. This will work – but it is time consuming and to do this repetitively would become onerous. The best option is to use a tool that tracks any tweets that are posted that match a keyword from your industry. It could be your product or service name, company name, or even industry or competitor names. 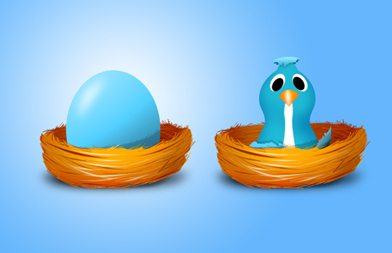 Convert Twitter users to Leads with a single click. Although Twitter can be used to increase sales in other ways, using other methods as well – this is one of the best and easiest of them. If you’re struggling to gain traction with Twitter or looking for a way to use Twitter for business – this is the low hanging fruit that anyone can grab. To read more about the Twitter – Social CRM integration in Simple Sales Tracking have a look at this blog post or at the website.